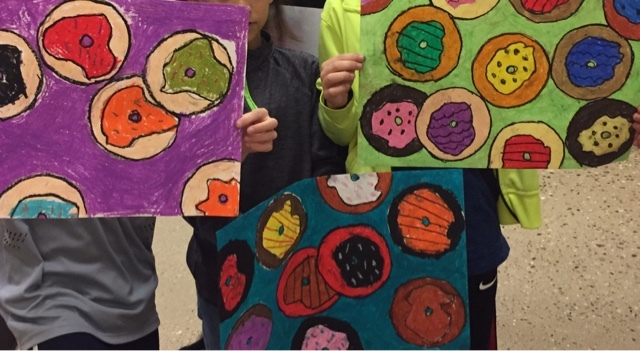 Students learned about the Pop artist Wayne Thiebaud and his philosophy on art. Students used oil pastels and focused on creating unity and variety in their work. Students are taking a "gallery walk" to reflect on their work and others. I wish I had taken more pictures!